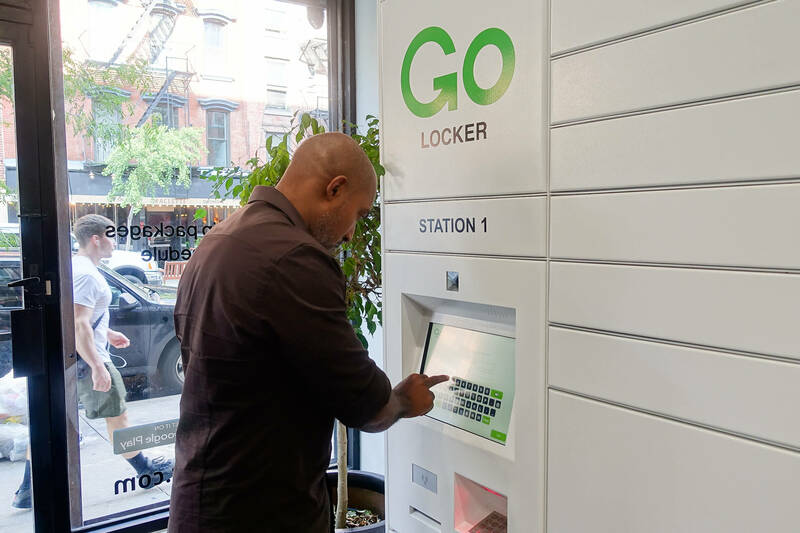 GoLocker looked for an access control solution that could integrate into its app—Kisi’s open API provided the security and the flexible technology to secure the locker company’s first autonomous location in the East Village. We spoke to Nigel Thomas, Founder and CEO, and Groom Dinkneh, VP of Business Development, about how Kisi helps power their operations. GoLocker is a public network of lockers where individuals can receive and ship items. 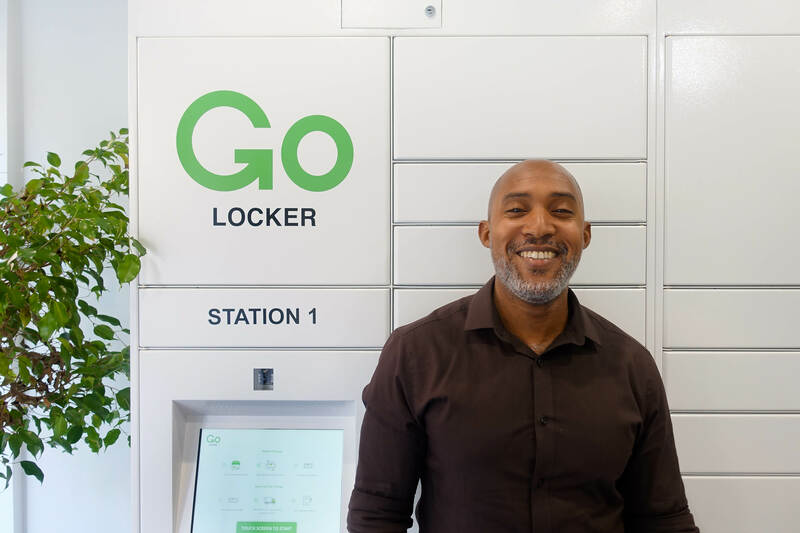 With 18 total locations in laundry stores, apartments, and other attended facilities around the city, GoLocker has seen a lot of success; however, they wanted to create their own, 24/7 automated and unattended, location. They launched this new location in the East Village with a soft open in June—over 300 people signed up and 1,000 are projected by the holiday season. It has 2 banks of lockers with a total of 120 compartments and the capacity to receive 8,500 packages per month. How Did Kisi's Open API Integrate With the GoLocker App? Kisi integrates with GoLocker’s interface to offer users, with an 8-hour reservation, access through the front door on GoLocker's mobile app. We looked into access control options but the integrations of other companies were too pricey. Then we read Kisi’s API documentation—it was exactly what we needed to integrate. The API documentation is so clear that we were playing with it within a matter of hours and we had Kisi integrated in the beta version within 24 hours. It allowed us to be able to start from scratch and directly integrate Kisi into our platform, seamlessly. A user pushes the unlock button on their reservation, they feel a vibration through the phone and enter the storefront. GoLocker’s app then enables access to the specific locker with a customer’s packages—a user can get in and out in less than 45 seconds without leaving the GoLocker app. Other cloud-based access control solutions had a wonky API, they didn’t work well for our use case. From a security standpoint, we most appreciate that our environment is safe and protected—with Kisi, cameras and a storefront gate working together 24/7 to provide peace of mind. Aside from the open API, GoLocker chose Kisi for its geofencing capability. Instead of installing a door reader on the front door, users are granted access when they’re next to the location. We don’t need to have a physical device at the door and worry about someone hitting or vandalizing it, and we don’t have to worry about NFC or bluetooth integrations. Customers within 10-50 feet are able to access the space—that was game changing for us. What is Kisi Most Helpful With Today? What Kisi does for us is what we do for other brands. GoLocker has its own service, and Kisi works behind the scenes. We know it’s in the background and we know the bells and whistles, but to everyone else it just works—they’re in the door and it’s frictionless. Ask us how your company or coworking space can use Kisi's API to streamline access control and security.